As such, there is not much to be done about liability, as the accident usually involves one vehicle and whoever is driving it is usually the one responsible for causing the accident. However, there are rare scenarios where the driver is not liable. 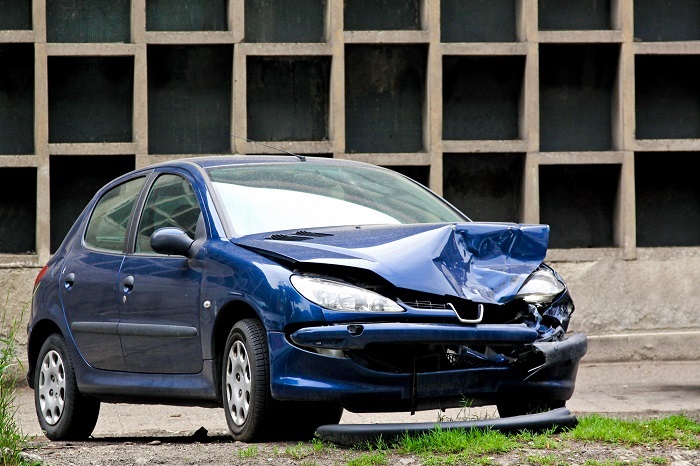 Here are some of them, and the reasons why you should hire an attorney to defend you after a single-car accident. You are going to work, nothing unusual, and then suddenly, a distracted driver (who is texting or reaching out for something in his glow compartment) enters your lane. He is going right into you and the direct collision is imminent. You turn abruptly to avoid the car, only to end up hitting the fence along the road. In this scenario, you are not the one responsible for causing the accident. If you can prove that the other driver’s negligence made you turn and hit the fence, you will receive compensation for your damages. However, proving liability without any witnesses is extremely hard. That is why you should contact Car Accident Attorney San Diego and have them help investigate the accident and find enough evidence to help you receive the settlement you deserve. Let’s say you are driving down the highway, when suddenly, you go over a small hole on the road, you get a flat tire and your vehicle start spinning out of control. As a result, you end up hitting a tree. What do you do now? In this case, you may file a claim against the governmental agency responsible for maintaining the road. If there were no warning signs that the road conditions are bad, or that the road is a work in progress, or closed or undergoing reparations, and you end up causing an accident as a result of not getting warned, the liability goes with the governmental agency that did a poor job on marking the road and directing the traffic away. Again, you are going to need an attorney to help you investigate the accident and find enough evidence that the road was indeed not marked properly and that as a result, you ended up causing the accident. Simpson’s San Diego Personal Injury Attorney will help you deal with your injuries and see that you receive the right settlement for all of your damages. Be sure to give them a call right after the accident happens to maximize your chances of success. The last instance where you could escape liability for a single-vehicle accident is the one where your car part malfunctioned. As long as it was sudden and unexpected, you may file a claim against the company that sold you the car or the malfunctioned car pieces. Get the car inspected immediately afterward for any other potential problems. Speak with our attorneys as you will definitely need proper defense.